None of the "Big Three" events have happened yet (rapture, seven year covenant, construction of the Third Temple), which is causing scoffers to place undue confidence in the normalcy they perceive around them. They've dismissed God's signs since nothing "big" happened, but should they? Shemitah 2015: no financial disaster happened and Jonathan Cahn's theory was disproven, right? Well, unless you exclude the massive global stock market selloff that began just days before. It included an 888 point drop in the DJIA over just two days and over 1,300 points in a four day period. 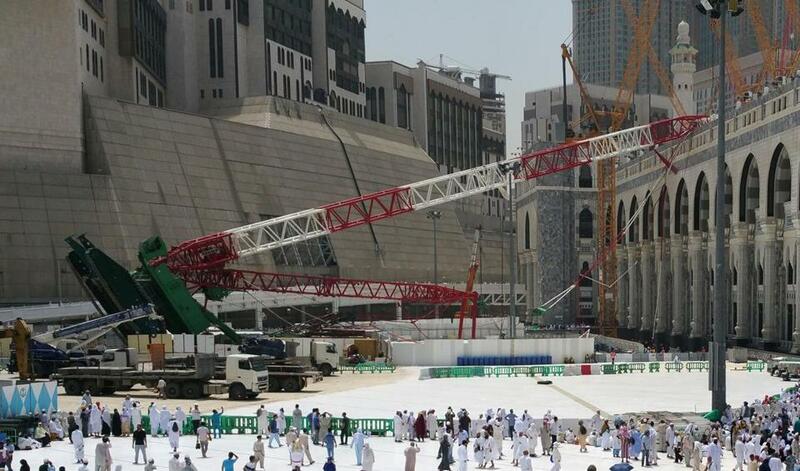 Also, on September 11th a bolt of lightning struck a crane at Islam's "holiest" site in Mecca (where the Kaaba stone is kept), killing 111 people and injuring 394 others. 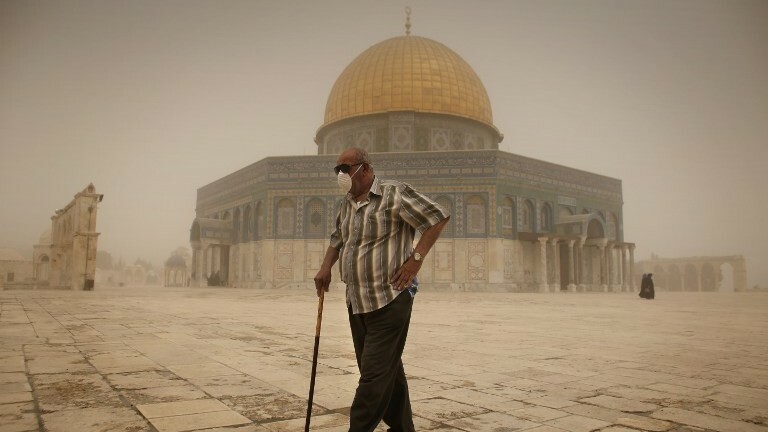 Rosh Hashanah 2015: the largest sandstorm in Israeli history blanketed the country in so much sand it blotted out the moon and prevented the sighting of the moon's crescent for days. There was also a partial solar eclipse, an 8.3 magnitude mega-quake in South America, an iridescent cloud in Central America that looked like Jesus returning, and a freak lightning storm over Israel and the Dead Sea (video here). There was no rapture, but could God have spoken any louder, trying to wake the world up? In His sovereignty He certainly drew an awful lot of attention to that day. Tabernacles 2015 and the Final Blood Moon: the final Blood Moon came and went and the world went back to sleep, but is it true nothing happened? 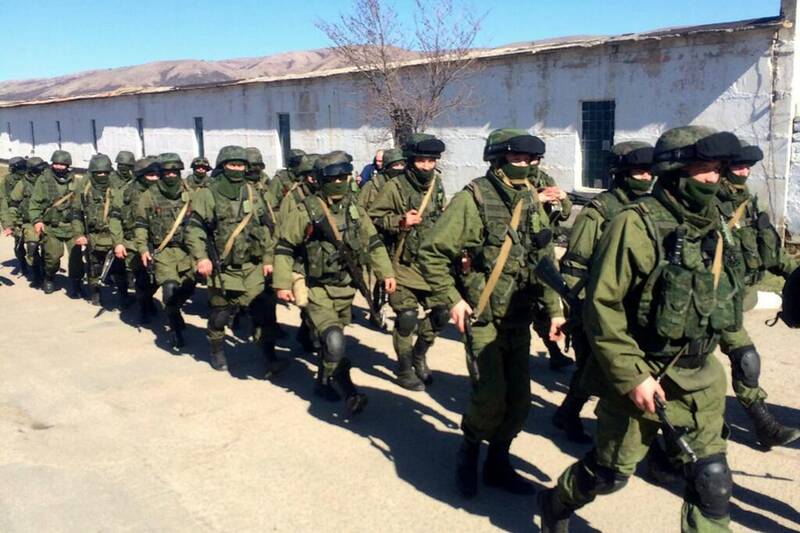 Let's not forget that Russian forces entered the Syrian conflict just two days after the Tabernacles Blood Moon, setting the stage for what a large number of students of Bible prophecy consider to be the fulfillment of at least part of Ezekiel 38. A large portion of Syria is in the biblically-defined area of northern Israel, which means the Blood Moon signaled the alignment of two of the key players in the Ezekiel 38 War right in northern Israel just as the prophet Ezekiel said would happen. A year later we witnessed Turkey begin to join the Russian-Iranian axis. Rosh Hashanah 2017: no rapture, but just a day or two later many witnessed the Great Sign of Revelation 12, which was written about nearly 2,000 years ago by the Apostle John. That's a pretty big deal if you ask me and no one has yet been able to debunk the sign's legitimacy aside from disregarding or allegorizing the plain words of Scripture. While many of us hoped the rapture would happen around that time, I have always thought that if the rapture itself didn't happen then it would certainly signal the true beginning of the season of the rapture. In other words, the watchmen must now be more focused than ever as the rapture watch goes into overdrive. Shemini Atzeret 2017: just another failed date, right? I for one don't want to put my confidence in a date, but in the Lord Jesus Christ. He's coming and soon. But the truth of the matter is something big actually did happen on this date: Fatah and Hamas signed and announced formal reconciliation (the reunification of Palestine) after a decade-long split. This sets the stage for the "covenant with death" spoken of in the prophets (likely the seven-year covenant of Daniel 9:27). September/October 2017 has been witness to perhaps the greatest convergence of natural disasters in modern history (see here). I keep hearing "stop looking at dates", but I can't and won't. The day Matthew 24:48-51, Hebrews 10:25, 1 Thessalonians 5:4, and Revelation 3:3 disappear from my Bible is the day I will stop looking for the Blessed Hope on a specific day. 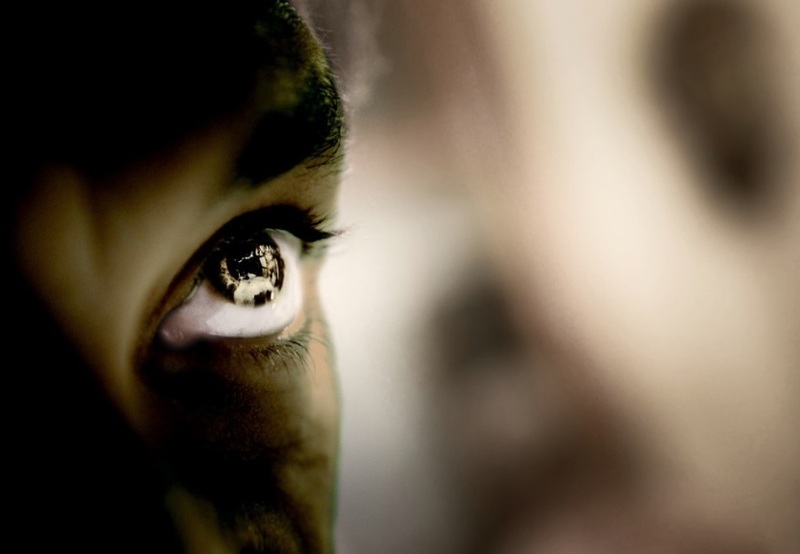 Looking, hoping, and studying is not sin - it's a biblical command. Jesus will return on a specific date. The ignorant and wicked will not know (Matt. 24:48-51, 1 Thess. 5:3, Rev. 3:3), but the righteous and watchful will (1 Thess. 5:4, Rev. 3:3). Will Jesus return on a specific biblical festival (a.k.a. moedim)? I don't know for sure, but it would be foolish to discount it. Jesus was likely born on Trumpets or Tabernacles, transfigured on Tabernacles, killed on Passover, buried on Unleavened Bread, resurrected on First Fruits, and He sent His Spirit on Pentecost. While His ascension was not on a festival, I certainly would not ignore the fact that the most significant days of His life and the establishment of the Church occurred on God's sacred days. I'm watchful all the time, acknowledging I don't know for sure when Jesus will come, whether on a festival or on just an ordinary day like any other, but I think there's a touch of hypocrisy coming from those who say Jesus won't rapture His Church on a festival while simultaneously holding to the "no one knows the day or hour" doctrine. If "no one knows the day or hour", stripped of all context and dispensational relevance, applies to the present-day Church, then it must go both ways: "date-setters" can't say their date is for sure and neither can the critics say for sure the day is wrong. My admonishment to us all is to avoid placing ourselves so firmly in any eschatological camp that we blind ourselves to the possibility we might have some details wrong. Let's be watchful and hopeful together as we await our Lord. What's On My Current Radar? In light of passing September 23rd, 30th, and October 13th, I thought I'd share a few other dates that are currently on my radar. October 21st - 22nd: possibly the actual date of Yom Teruah if the barley harvest wasn't aviv. A surprisingly strong case can be made that the Bible assumes an intercalary 13th month based on whether or not the barley crop was "aviv" (see here). The name of the first biblical month is Aviv, after all. I'm not particularly convinced that 2017 was a biblical leap year with a delay, but it's worth paying attention, and a number of brothers and sisters have provided some circumstantial evidence supporting a delay in 2017. October 31st: this would be the true Day of Atonement if the barley wasn't aviv as expected thus bringing into focus the jubilee trumpet theory. It also happens to be Halloween (All Saints' Eve) and the 500th anniversary of the Protestant Reformation, both of which are central to the Church and its meaning. This Halloween happens to be 40 days after Yom Teruah (if it wasn't delayed), thus we see a possible 40-day repentance window. It sure would be a way for God to take back the day the devil has stolen! November 12th - 13th: Shemini Atzeret if the barley was delayed. Also, on November 13th there is a long-expected post-birth conjunction of Jupiter and Venus. As Jupiter seems to represent the body of Christ in the context of the Great Sign and Revelation directly associates Venus with Christ (Rev. 22:16), then perhaps this conjunction represents Christ snatching away His bride and meeting the Church in the air. Counting inclusively, the October 21st date allows for a full 2,550 days until Yom Kippur 2024. The October 31st and November 13th dates allow for 2,520+ days until Yom Kippur 2024. October 31st to Shemini Atzeret 2024 happens to be exactly 2,550 days, which might be significant if Jesus physically returns on the very last feast day in the Fall. In other words, Yom Teruah 2024 would signal that Jesus is about to return and perhaps the 7th trumpet is blown. The Day of Atonement would be when Israel accepts Christ nationally and says "blessed is He who comes in the name of the LORD" and Tabernacles would be when Christ actually returns to Tabernacle with men. 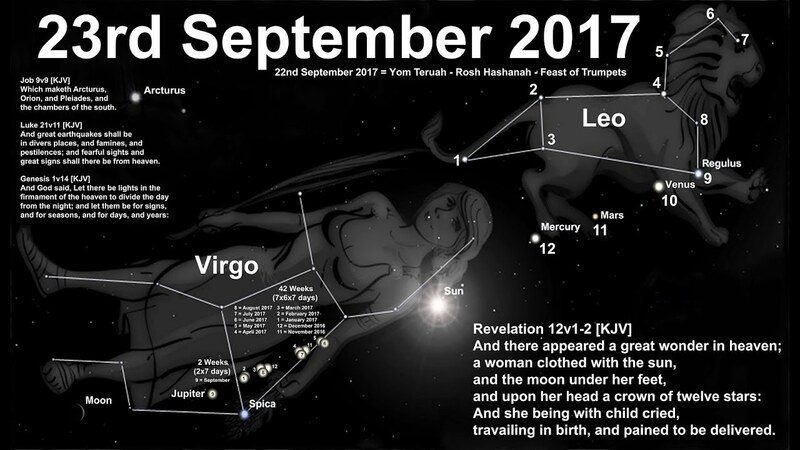 September 23rd - labor - Revelation 12:1-2: the Great Sign of Revelation 12 appeared in the sky on or a day or two after Yom Teruah. Revelation 12:1-2 does not mention the birth of the male child, only the woman in labor. The birth occurs in Revelation 12:5. October 13th - birth - Revelation 12:5a: Jupiter actually left Virgo on Shemini Atzeret. Could this have been a sign of the soon birth of the Church? November 12th/13th - rapture - Revelation 12:5b: this is the date of the long-expected Jupiter-Venus conjunction that takes place after Jupiter has left Virgo. Venus is the star that represents the glorified Christ (Rev. 22:16). Could this conjunction represent Christ meeting His Body in the air - the rapture of the Church? This is also the revised date of Shemini Atzeret if 2017 is a biblical leap year. As always, this is speculation. I'm not predicting or setting a date, but watching and studying just as I've been commanded to. Now check this out: this date is 120 days from 7/17/17 when the Temple Mount was retaken and the Jews offered prayers, 444 days since the last Jupiter-Venus conjunction, and 777 days since the Super Blood Moon over Jerusalem (the final Blood Moon in the tetrad). It is also 50 days after the Revelation 12 Sign, which is an interesting count, falling the same number of days after the Great Sign as Pentecost fell after Jesus' resurrection. If the Church is still here past November 18th then I'll have to start looking more diligently at 2018-2025. Keep in mind that we are only half a year away from the 70th anniversary of Israel's rebirth, which happens to be the same week as Pentecost. That in and of itself is pretty intriguing. There are many who lean towards a Pentecost rapture. The Tribulation would then run from Fall 2018 to Fall 2025. '7' is the number of perfection, but '8' is the number of resurrection and new beginnings. Another interesting thing about the rapture happening 6-9 months after the September 23rd sign is the fact that Jesus' birth and escape to Egypt was a shadow or template for Revelation 12. Jesus didn't escape to Egypt immediately at birth, but instead when He was a padion (toddler). Herod was a type or shadow of the dragon waiting to devour the child. Perhaps the baby Church doesn't escape earth until the dragon shows up sometime in the next few months. Brothers and sisters, stay tuned, keep watching, keep praying, and keep preaching the Gospel while we still have these meager few moments left. Just a though, what about 40 days after Easter being the ascension in so like manner he returns? "In just a little while, He Who is coming will come, and will not delay". Thanks so much Gary for all your work to keep us watchful. We love you! From the last blood moon, sept 28th, 2015 to October 21st 2017 (new date for the Day of Trumpets if the barley harvest was not aviv) = 754 days / Strongs concordance Word 754 in Hebrew is arca - "lengthening" - "extension"
"The Third Day...End 21 Day Delay...Start Tribulation... Darkness...Noah Rested Here"
Indeed we are living in exciting days...Thank you Unsealed and thank you fellow watchmen for the continued search & find and unwrapping of the Scripture, which is alive. I've been blown away with all the findings. While I have not found any "definitive" or "conclusive" evidence of the immature barley this year, yet it seems to fit into the way "things" have gone in 2017 and plays into the "hidden feast" and the "comes-as-a-thief" scenarios. In addition to the "barley harvest," we have had many signs and warning signals (both heavenly and man-made). The DOW closed above and opened today a little above 23,000, the likes we have not seen since 1987 (Black Monday 30yrs ago). To me and my understanding of economics and financial markets, it is time for a "pop" and/ or "correction." Mr. Soros knows, he dumped billions into his "foundation" because he knows the markets are going to crash, soon (as he is one who is helping orchestrate the fall, among other NWO players). China and Russia have colluded together to bring about the crash of the US Dollar. I don't believe they are part of the NWO, but they want to sideline/ cripple the US financially (it's all "paper currency" anyway, they have/ want the gold). Psalm 37:34 > Hope in the Lord and keep his way. He will exalt you to inherit the land; when the wicked are destroyed, you will see it. Eyes to they Sky's and on our Savior! Wonderful post! Keep looking up, and thank you for your watchfulness - I for one appreciate it and am still excited and ready for our Lord's return! Great stuff Gary. Glad to see you are still watching! Yes indeed. Thank you brother! Thanks for keeping the watchful updated. I remain convinced we are in the last of the last days and watching consumes my days. I can't turn back now. This earthly sojourn is so dim, I have to press forward ......to win the prize. Maranatha! Consumes my days (thoughts, prayers) YES, Can't turn back, AMEN. Earthly sojourn dim SADLY so. Eyes to the Sky, YES! Good article Gary. The 11/12-11/13 is interesting because it's 50 days after the Great Sign. 50 in the bible symbolizes freedom or deliverance from a burden. It was 50 days from Passover when Christ was crucified to Pentecost when the Church was conceived. Maybe 50 days from the Great Sign to the birth (resurrection) of the Church? Damian, yes brother, also the weekend I'm looking at. 50 also means fullness. Thank you Gary! Still looking and still excited! Gary, thank you for you calm and balanced post and for your tenacity. Personally I believe the date has always been set and we ARE to be zeroing in on it for HIS Glory. After all, Daniel didn't whip out these day counts on a whim; I think not. OBVIOUSLY our Lord is in the numbers and the specific days, BUT, He KNEW our gauge, the calendar, would be off. He allows this and uses it for His sifting of the saints, as noted by many. Some watchers "beating" others when the Master delays, etc., are all part of it and our Father uses ALL things to do His Will, amen. So, while we do our best to clean the windshield and tighten the meters and adjust the focus we chase our tails, so be it. The Word is VERY clear on two things for this time: (1) WATCH and act accordingly for a servant expecting their Master, and (2) know that it will APPEAR that He has tarried, when He HAS NOT DONE SO, so when that happens, and it WILL, behave appropriately and, if uncertain, refer back to #1! . Thus we Watch and they scoff and meanwhile the Enemy watches closely to see when IT will really happen so he can spring his trap when it does. Our Lord observes the spirit of all involved and will judge accordingly. The delay is actually no delay, at all, simply a reading from a faulty instrument on the part of those of us in the tower watching for the flight. "A Wizard is NEVER late, Mr. Bilbo Baggins, nor is he Early. He ALWAYS arrives PRECISELY when He intended." - Gandalf Maranatha! Oh what truth you have spoken my Friend! Waiting and watching with you. You are absolutely correct. He knows and has known the date for a very long time, since the Father told Him when He returned to Heaven. Everything which has occurred is by design for He is not in the accident, changed my mind, delay business. He is absolute, unequivocal precision and just because we haven't figured it out means nothing. We need to focus on "our response" not on what we perceive as a change or a delay. This is all about allowing the dross to come to the top to purify the metal and that only occurs in extreme heat. I cannot express enough to you the Peace I have felt through this entire season. He is at the door and I have no clue when he's going to step through it, but I will have perked up ears on every high watch day. When we stop watching, our hearts begin to cool and that is unacceptable to me. Sherry, thank you and take heart. I just posted over at Hillary's 10/8 thread The Bridegroom Has Not Tarried, I think is the title, about a Divine Paradox which arises in relation to your last sentence. Although relevant, it seems odd to repost here? so go check it out. Its a rather short post (esp. for me) so I won't summarize here but read it and meditate on it and smile at how excellent is our Lord! May it encourage your heart, Maranatha! Is anyone here looking at Parashat Vayera? It's November 3 this year. In Hebrew it means "and He appeared". I was reading up on it last night. Pretty interesting. And...this is really strange...I went to bed around 10 PM...dead tired, and I fell asleep immediately. I woke suddenly some time later and looked at the clock...it said 11:03. I kid you not. Freaked me right out. This was not a dream. William or anyone, do you know what is going on in the heavens above on this day? Curious as PV falls 40 days after the Rev 12:1-2 sign/ marker (kudos to Ryan's follow up commentary on this). Something interesting about the Parashat Vayeira also, is that in the first part of the reading, we see the promise by the pre-incarnate Christ telling Abraham that Sarah would have a son 'by this time next year.' Her son was the son of the promise. Last year in 2016, the reading was on November 19th. I wonder, if by November 19th of this year, 2017, if we will see the promised child, the church, birthed into heaven? The timing fits the other possible dates being discussed and seems to the best understood window at this time. Then of course is the rescue of Lot and his family by the two angels before destruction falls- a foreshadowing of the rapture. Just one of those things that bounces around in my brain. Mk - yes interesting scriptures. I tend to think of it along the same ‘general’ lines as ‘it is appointed unto man to die once...’ we know some NT believers died more than once and those in the rapture won’t even taste of the first death. So ‘when we least expect it’ could/should be seen as a general principle in the world particularly among the Jewish nation. The world has no reason to believe that Jesus is coming back, and Israel almost has no inkling at all that the messiah could come at any time. Like the ‘death’ generalisation, I believe there are exceptions - a watchful bride being one of them. I am so pleased to hear others have those "niggle" thoughts. Again, I believe when we're all sitting on the lawn under the Tree of Life we will get to laugh when He says, don't you remember, I kept reminding you about "thus and so" and you missed it. I believe this is going to be a fun picnic where He laughs with us, not at us about the things we got wrong or the things we missed. We enjoy so much these "visits" on line with those who are like minded, just imagine when He is there with us as we discuss and finally get the answers to those questions we've had niggling at us for years. Amen, Sherry! Yes I agree completely. I'm sure it pleases Him that "we love His appearing" enough that we're not giving up, we're listening to the "niggles" and we keep searching the Scriptures & watching the signs. I very much enjoy the fellowship with you all, and participating in this wonderful treasure hunt He has given us. Very nice write up, Gary. Appreciate your passion. I recognize one paragraph from our discussion on the ISIS post! How do I register here so I’m not an unknown poster? When you comment there is a "Reply as" or "Comment as" dropdown. You can select from Google, LiveJournal, WordPress, TypePad, AIM, and OpenID accounts. Any will work. Most people use their Google account. If you already have a Google account and you're logged in, but it shows up as "Unknown" it might be because you need to set a name on your Blogger profile or allow security through. Thanks Gary. Got it working. 2000 years ago, the Bethlehem Star marked the birth of baby Jesus. 2 years later, King Herod (type of Satan) order the killing of all children less than 2 years old in Bethlehem to kill the male child (Jesus), but YHWH brought the child to a place of safety. The same Bethlehem Star appear in the sky in 2015, guess what, 2 years later in 2017, the dragon (Satan) try to devour the corporate male child (body of Christ), but YHWH will bring the child again to a prepared place of escape. Even the Bethlehem star that appear in 2015 is pointing to Rev12 sign in 2017, which is the 2017 Rapture of the church. I had not put those puzzle pieces together. Thank you for sharing that. The Bethlehem "Star" re-appeared June 30, 2015. The "Star" being a close conjunction of Jupiter and Venus (or rather, two large luminaries in the heavens above). Isaiah, I believe mksmith is saying November 12th-13th of 2017. Yes, the reappearance of the Bethlehem Star in 2015 is yet another sign pointing to 2017, just as the Bethlehem Star of old pointed the way for the Magi to appear in Jerusalem two years later to seek out the Child Jesus. What with all the other signs pointing to 2017, this one often gets overlooked. Dear Brother Gary, Thanks for still being here and Watching. For me, I'm not sure when the rapture will happen, all I know is everything seems to be falling into place. I mean don't you feel it? Thank you God for the heads-up! I feel it - that's for sure. He's coming soon! Well, well, well, let's not allow anyone to so quickly shrug off that 'feeling' either, oh no. Remember, such faith IS THE EVIDENCE of things 'unseen' (Heb 11:1b) and yet, even still, as Jesus tells us, "And He turned Him unto His disciples, and said privately, Blessed are the eyes which see the things that ye see: I tell you, many prophets and kings longed to see what you see, but they didn't see it. And they longed to hear what you hear, but they didn't hear it" Luke 10:23-24, KJV). Maranatha! Great article. Let us also take a look a another special day on November 3. If we count 40 days backwards from that date, it will be September 23, the Jupiter/male child birth /Rev 12 v1-2. I would like to make this as the jumping board to a great topic. Vayera. A new word to add to our watch. It is fitting to for us not to disregard the 40 days purification process as commanded by God based on Leviticus 12. If we count 40 days after the birth on Sept 23, we will come to Nov 2/3. Read the Lev 12 again, the woman is expected to offer a lamb. What I found amazing is that on Genesis 18, during the 'vayera' when He (The LORD) appeared to Abraham, there was a meal offering prepared by Abraham, finest choice calf. Rightly so since it is an honor to be visited by the Lord. Another thing is on this 'vayera' event a special 'birth' is promised to Sarah. Special because it is miraculous since they are past their old age and as good as dead. Remember that on this day Sarah laughed it off. This is the gist of the 'vayera'.... The LORD discussed with Abraham his punishment he will do to Sodom and Gomorrah ( Genesis 18: 20-23 ) . We know that Abraham bargained with the Lord from 50 down to 10 just not to destroy Sodom&Gomorrah. Arent we in the same position now but this time we are with dates.? For us we thought Sept 23 was the date, then we moved to Day of Atonement, Shemini Atzeret, then the late Barley Harvest. Lastly we have 'Vayera' on November 2. So each passing date is a time for us to prepare and share the gospel. We know that on the appointed date it will all be too late and it is finished. If Our Lord Jesus Christ will appear on Nov 2/3 to gather us, destruction follows what is left here on earth. It will not be a laughing matter. The Vayera reading also seems to include the angels bringing Lot out of the destruction. I'm convinced it has to be this year because all the dates seem to coincide. The 'coincidences' that makes 2017 /5777 /5778 calendar are outstanding. I myself am not aware of Vayera. I heard of it just this week. Now, the counting of 40 days from Sept 23 to Nov 3 is fitting and backed by scriptures. What I would like our veteran watchers is to see the days 1260/1290 and which dates it will fall in the future. The Lord Appeared to Abraham. The Lord was accompanied by two men , is it the Holy Spirit and Jesus Christ?. They had a meal. (Made me go back to Revelation 3:20 ) . The Lord promised birth to Sarah. The Lord warned Abraham of the destruction of Sodom and Gomorrah. There was a bargaining. But eventually destruction happened. So, for us alive today. We can definitely add another High alert day Nov 3, as the event of our Harpazo. This could be the continuation of the gap of Rev 12:1-2 and the 'snatching away' to continue with the persecution of the woman for 1260 days. I found it interesting as well that the full moon is Nov 4, I had always kind of that with the sun turning black and the moon red that it would need a full or fullish moon. Also I read Nov 3rd happens to be exactly 100 years from the Balfour Declaration. Interesting times we are in. Very interesting! I hadn't heard of Vayera before. Oh what a joy it must be to our Savior as He looks down at His Bride and sees all the scoffers and mockers were wrong. She has not gone to sleep, she is digging harder, she is searching more deeply in His Word - deeper into Him and the longing for His coming increases, it never decreases. We are a chosen generation, how could we possibly fail to live up to such an honor. Thank you Gary and all who comment for continuing to refill our lamps with the Oil of His Word. Soon we will be together as we prepare for our real work and plan with Him. Let me add one very important item and I missed to write it down on my comments above. The significance of the 40 day count of the REV 12 v1-2, upto NOV 3 is worthy of our attention.Many of our fellow watchers missed to see the "Vayera" event.I missed to see that too. Many of us really thought that September 23 was the day, it didnt happen but it still fits perfectly considering the first 7 days to plot on the same day as Day of Atonement with the command of Lev 12. Yom Kippur/Day of Atonement, oh what a high watch date that is. But again, nothing happened. Many of us didnt count additional 33 days as part of the command of the LEV 12 and we missed to see the VAYERA on Nov 3. I'd like to consider the theory that there is a 40 days "pause" or "mute" button from Sept 23. We thought it was our Rapture and the rest of the verses will be played on the same date. Rev 12 verses 1-2 happened. THEN a 'PAUSE/mute' button to last 40 days must take place for several reasons. Number 2: It is the number of TESTING. For whatever reason, many of us became more eager to see the LORD and learned more in the last few weeks. And some of us, unfortunately lost their trust in GOD. I heard one story that at the peak of the SEPT 2015 Bloodmoon, he was on fire, and because it failed what he expected as the rapture, now he is a scoffer. Similarly, that could be the reason why many of us lost their passion and worse, attacking those of us who still hang on. Number 3: Because GOD is patient. More souls to know about the coming judgment and repent. Okay, so here is what I missed to write on my comments above, VAYERA is the day the LORD Appeared to Abraham. Sodom and Gomorrah will be destroyed. BUT.....it was also the day that LOT and his family will be RESCUED. As we should know by now, as a symbolism of RAPTURE. The ANGELS Hurriedly took Lot and brought them out to safety. Then, as part of my theory, the "pause/mute' button will be pressed again as the continuation once again of the whole book of REVELATION. NOVEMBER 3 is a VAYERA Torah Reading. Symbolic day for the Jews. Another High watch day for Gentiles. At least for me that is a High watch date. Any thoughts on what the "burnt offering" could be today? Ourselves, the Church? Ryan, quick thought is that the trio could not have been the trinity. No one can see the Father and live. It is most likely the pre-incarnate Christ who speaks with Abraham, and also 2 angels who then go to rescue Lot and his family as Scripture says. Mormanism is off for many reasons, but one is because they think Joseph Smith saw the trinity, which goes against Scripture. John 6:46 says,"not that anyone has seen the Father except the One who is from God; only He has seen the Father." and John 1:18, "No one has ever seen God, but the one and only Son, who is Himself God and is at the Father's side, has made Him known." Blessings to you! Thank you for that! Since we're sharing "What's on my radar", how about mine? Has anyone read any studies on the possibility of the tribulation starting on the anniversary of the beginning of the flood? Genesis 7 says the flood began on the 17th day of the second month (Cheshvan 17)I cannot think of a reason for the exact day and month being in the scripture unless it has some prophetic significance. It's also worth noting that the First Zionist Congress occurred in 1897 on the 17th day of the second month. I can't help but think of the possibility that the First Zionist Congress marked the beginning of the 120 year generation which comes to an end on the 17th day of the second month this year (Nov 6, 2017). Cheshvan 17 is also 77 days from the eclipse. I keep checking back to see if he's added anything else to the article, I know he will. @jarrisk - Daniel Matson's theory points to Heshvan 10, which is Oct 31. It's 40 days after FoT and 70 days after the eclipse. He theorizes that would be the Rapture day as we are secured in Heaven (like Noah in the ark). Seven days later was the flood, so Heshvan 17 would be the beginning of Tribulation. Great reminders Gary (and awesome comments fellow watchers). I might think that there could be some credibility to the "vayeira" rapture if there were a "last trump" connection. The last trump Paul spoke of in 1 Cor. 15:52 is the "salpigsk"(silver clarion), not a shophar. The same type of voice like a trumpet( salpigsk) that called John up to the Throne room in Rev 4:1. Correct me if I'm wrong but I understand the clarion is blown at solemn assemblies/ingatherings, and at the Jubilee. The shophar is blown at the new moon and the full moon on the feast days. The last clarion to be blown in regard to the years' feast days is on Shemini Atzeret. I also believe there has to be a last Jubilee trump which we know is much more difficult to pin down. IF this year is the last Jubilee trumpet AND the barley truly wasn't aviv in time, then Oct 31 would be that last Jubilee trump. IF the barley wasn't aviv in time then The 8th day is Nov 11. As for Vayeira meaning "the Lord appeared", keep in mind that in Lev 9:1-4 Moses told Aaron that on the 8th day (Shemini Atzeret) after they made the sacrifices that the Lord would appear before them. 4 times in John 6 Jesus said that He would Raise up the believers on the last day. Question being is the 8th and last day of the fall feasts also this last day Jesus spoke of? And which trumpet is the last, the Jubilee, the 8th day, or neither? We still don't know the day or hour do we, but we sure know Its very soon and Jesus is about to call us up to heaven. Blessings brothers and sisters, I'll see you in the air with our eternal King soon! Just a small tweak: biblical Greek only has one word for "trumpet", which you mentioned. It doesn't distinguish between the silver trumpets and the shofar. For example, see Hebrews 12:19. Interesting and insightful. After looking at the above mentioned verse in Greek, I see that now. Pardon my ignorance on the single word usage. The questions still ramain- is there a trumpet connection to Vayeira, and which last trump was Paul referencing, FoT, Jubilee, or 8th day trumpet? And how much biblical validity is there to the barley being in aviv? Deut 16:1 > Observe the month of Abib, and keep the Passover unto the Lord thy God: for in the month of Abib the Lord thy God brought thee forth out of Egypt by night. Abib is Passover month. "No ripe barley, No Abib. No Abib, No Passover." Cannot have the Passover Feast without barley. Therefore, if the Passover Feast is (should have been) postponed due to the barley not being abib, then all seven feasts would be (should be, should have been) pushed a month as well. Bottomline: God is (and always has been) looking at the barley (type of Israel). God is looking to see if the "nation of Israel" is abib and God alone will determine this and God alone. 1 Thessalonians 4:16, if you go to the lexicon on bible hub, describes the trumpet as a WAR trumpet. It specifically says that it is a war trumpet that is sounding victory. Maybe we're overthinking the fall feasts. Maybe they were given to the Jews but not specifically to the Church. I have had a strong niggling about this for a very long time. I believe "if" the Church is Raptured on a Feast Day it would only be a shadow fulfillment. I believe the final fulfillment is with Israel in The Land. Yes, we were part of Pentecost, but those being filled with the Spirit which gave birth to the Church were Jewish. So, in reality, it was a Jewish fulfillment with a Shadow of the Church. I could surely be wrong, as Alan Horvath so eloquently states, "I don't know 'Nothing". Nonetheless, it is a joy to play with the puzzle pieces. @charlie in DC, thank you for sharing. I like that interpretation of Israel as a nation being abib according to God, which it certainly appears to be. Looking forward to reading up on it more. @Gary, thank you so much for providing us a place to fellowship and grow with other chrsitian watchman. Iron sharpens iron and Unsealed is a place I love coming to have more burs sanded down and see the reflection in the sword of the word a little more clearly. Love y'all. God bless you, and keep lifting each other up until the Lord decides to take us all the way up! So Israel or the nation of Israel and its people (the Jews/ Israelites) represents both the Barley (of the OT) and the Fig Tree (of the NT). The celestial signs are really for the Jews (see 1 Cor 1:22). The Church is only part of God's entire plan of redemption. Remember who acted upon seeing the star of Bethlehem? The non-Jewish Magi. Who rejected Jesus as the Messiah? The Jews, the very people who were looking for the savior. The signs and signals in the heavens above today continue to tell a story, signaling to the Jews of what time it is and what is to come, to be fulfilled in the near future. Their redemption to near too, but only after a 7 year tribulation period of trial and testing, better known as the Time of Jacob's Trouble (Jer 30:7). The name of the month Abib was changed to Nisan (Meaning: ‘their flight’) after the Babylonian captivity (Neh. 2:1). Abib/Nisan falls somewhere within the Gregorian calendar months of March and April. It changes in relation to our months because the Jews use a lunar calendar (months of 29 or 30 days), with an extra month inserted in the year periodically to maintain the seasons. Understanding how to determine the new moon and the Abib / Aviv is essential in establishing the start of God’s calendar; thus, it will effect the correct timing of all other moedim (appointed times) as well. From Jonathan Cahn "The Nisan Gospel Mystery"
Note: Every time "the" abib / aviv is mentioned, the definite article “the” is used. Only one month has “the abib / aviv” in it. Gary, looking forward to your posts in the weeks and years to come. Please share your reading list for the next few years. Thanks. It's one thing to say the chances of hitting gold at any one time are astronomical. Acknowledged. It's quite another to say there is no gold. Either have your cake or eat it. Say no one knows the day and hour? Then acknowledge you could be wrong too because you don't know that it won't be as we hope for a given day. Otherwise take your place among the scoffers, and reap the rebukes and condemnation of those men. I want to hope better things concerning you, sir. BryanB, I don't know Gary's reading list for the next several years, but I can tell you yours: 1. Pat the Bunny. 2. Goodnight, Moon. 3. Chicka Chicka Boom Boom. 4. The Velveteen Rabbit. 5. Green Eggs and Ham. 6. Caps for Sale. 7. Little House on the Prairie. 8. Anne of Green Gables. 9. Charlie and the Chocolate Factory. 10. Charlotte's Web. PS. My God WILL know if you watched the movies instead. Those are great books. You can add Frederick the Mouse and The Little Prince. Also, you don't know Gary's reading list, but you apparently acknowledge he has one. You should have one, too. What's your reading list for the next few years? What have you scheduled yourself to read in, oh, say, October 2019? And if you don't have a reading list, I suggest you create one. You'll need something to pass the time. All the great intellects have been voracious readers, so it's perfectly natural to think that someone as erudite as Gary and the other researchers at this site would be lovers of books as well as lovers of God, Whom I assume you are not a lover of due to your obvious and naked disdain for Gary. We are awaiting our Lord's return because He said He will return to get His Church and gave us the signs to look for, of which there has been such an overwhelming abundance that it has those of us whose eyes and ears are open excited like never before. Your sarcasm is indicative of your blindness otherwise you would not be coming to this site to make disparaging remarks to God's children. If you think your petty and flippant remarks in any way diminishes our anticipation and excitement for our Lord's soon return, you are sadly wasting your time. Your strange correlation between our "reading lists" and Jesus return in His always perfect timing is truly bizarre. You sound like you have never read any of the articles at this site documenting sign after sign and the convergence of them which is exactly what Jesus told us to look for and that's why we are excited. Frankly, you sound jealous so you have introduced the totally irrelevant meme of "reading lists". Don't worry, Jesus has given us plenty to do until He returns. Studying His Word, helping the needy, donating time/money to charity, sharing the Gospel, attending church etc. And watching for His soon return by watching the signs which is keeping a lot of us busy lately. You should heed His admonition not to interfere with His anointed. "Intellect" stops were "alchemy" begins. Gary is a alchemist in every sense of the word. And you are an alchemist-enabler. LOL ! Now THAT'S funny. If that's the best rejoinder you can come up with, well, I have said all I need to say to you. You may find this link informative. Jesus said in Matthew that an evil generation seeks after a sign, and that the only sign will be the sign of Jonah. We all know that Jesus was three days in the earth just as Jonah was three days in the fish. Have you ever thought, what was the reason God raised some dead saints at Jesus resurrection, who then went into Jerusalem for forty days, as Jesus did. God never does anything without significance. Paul then writes that the dead shall be raised, then we who are alive and remain will be caught up with them to meet the Lord in the air. So, I have a theory. One First Fruits very near there will be an earthquake in Jerusalem, some dead saints will be raised beginning a forty day warning (Jonah to Nineveh) and the rapture will be forty days later on ascension day as the body meets it's head in the clouds and so shall we ever be with the Lord. God works in types and shadows, but Christ is always the substance. Shadows have been cast all through Jewish history with Christ as the substance of that shadow, now Jesus Himself is casting a shadow for the church, to be caught up on His day of ascension. Annabel, my thought has always been the Rapture will be on a Very Special Day, maybe a Feast Day. But, if it is not on a Feast Day, it will be on a day we may not grasp just yet (though it will be clear in hindsight). I see him in our circle picnic in Heaven saying, "Come on guys, how could you have missed it - think about it" - We all do a Face Palm as we "get it". It will not just be any old Thursday, Monday or whatever. I think He loves all our working, speculating and playing with puzzle pieces because it means we are thinking of Him and yearning for His Return! One thing I have been thinking about lately, in regards to the barley, is the reminder that the calendar is God's; He can add an extra month to any year He wishes simply by delaying the barley. Did He do this in 2017? We may not have any way of knowing. It would certainly be His character to allow more time for the fullness to come in. The takeaway for me though is that He could add an extra month during the tribulation in order to achieve the full 2550 days if one of the later proposed dates for the rapture should occur (Oct 31 or Nov 13). I don't think we can look at the Jews' feast days and say, "Shemini Atzeret is on October 24th of 2024, so we need to count back 2550 days to see when the Tribulation begins". God could easily add another month (or 2) anywhere during the 7 year tribulation to change the date of Sukkot or Yom Kippur 2024. I feel like God has endless trump cards He can pull out at any time, which is amazing and beautiful to me. We know hail is one of the plagues in Revelation. I wonder if God's protection of the Jews could be that the barley is not aviv during the hail plague and thus survives the hail storm? That would then add an extra month during the tribulation. Since we cannot know whether the Jews' calendar is correct, neither the jubilee or barley being aviv... what do we know for sure? 1) God is beautiful and can do as He pleases. Amen! 2) Rev 12:1-2 occurred on Sept 23. 3) It seems like the "birth" of Jupiter occurred on October 13. 4) Venus and Jupiter come into conjunction on Nov 13th. To me, there are 3 parts to the woman/child in Revelation 12: 1) She cries out in birth pain while having the sun, moon, and stars in their proper places. 2) She gave birth, and 3) her child was caught up to God. We have seen #1 and #2 depicted in the heavens. It makes sense to me that #3 would be depicted in the heavens as well (the Nov 13th conjunction). If this happens to be the true Shemini Atzeret, praise God for some really beautiful symbolism of removing corruptible flesh and the White Stone on the 8th day. If not, we know He is not beholden to the feast dates. Since the heavens are given for signs, and the season we are in began with the "great sign", I personally am thinking the Nov 13th is the best date. I think the only thing we have to go on right now is what is happening in the sky, since the feast dates have either passed or are off. Why does this matter? For me, I haven't been able to get traction with anything because I think "we're out of time". I haven't planned anything. I haven't witnessed effectively because I think "time is up". Lord forgive me! I think the Lord has done a great work in us all. We have learned about the feasts and they are beautiful. We have poured over scripture. We have fallen in love with Him again. I am wondering if He will pour out his spirit in the next 3 weeks and bring thousands in the last days. I am wondering if He needed to work in us first so that we may be more equipped to do His work... and He is now giving us time to do that. Wouldn't it be amazing if Vayera were to be an appearing of a double portion of the Spirit to do amazing signs and wonders in the last 10 days? When Jesus says we will do greater things than He did, is this just a few people or all of us who are watching? If it's all of us, when will this happen? I am begging God to do these great things! It is interesting to me that Paul outlines the gifts of the spirit in 1 Cor 12-14, and then 1 Cor 15 discusses the resurrection of the dead and the rapture. I feel like God is telling me that we have time to still do His work. Time is short, but it isn't quite over. May He help us to walk when we are growing faint and run the race marked for us with joy. Be encouraged brothers and sisters, and lift up your heads! Tera, I love your thinking. What I especially love about it is its Christ-centric foundation. EVERYTHING you posit has Christ at the switches, even the parts handed to us! EXACTLY! Praise Him that he remembers that we are but dust and that we can do NOTHING apart from His direct Intervention. Yes, our work in this time so blesses our Abba, we will not know until He showers His Appreciations on us shortly. Yes, our individual edification in the details of our Abba is part of the preparation He is assembling for our work ahead for Him. Lastly, our Lord is provoking His People to Jealousy of the Goyem getting closer to their Messiah than they. I imagine NOTHING will provoke greater jealousy than when the Rabbis turn the final corner in their studies, come face to face with their Messiah and see us already standing there with Him, ready to greet THEM. wow. Maranatha! Awesome thoughts Tera/Jimboni - especially consideration of a significant move of the spirit for those ten days. “And I will pour out my spirit in those days says the Lord”. I have become acutely aware that I can do nothing apart from His intervention... even the good conversations I've had in the last month have only been fruitful because God has been working in their hearts already through all that has been happening on the earth. I have been wondering whether God could give a double portion of the spirit in the last days. Interesting that the numbers may suggest this as well. Another thought about Vayera... After the resurrection, Jesus appeared to His disciples for 40 days, teaching them about the Kingdom of God. Then the ascension, which left 10 days for the disciples to pray in the upper room before Pentecost. Could it be that we have 40 days after Sept 23 to learn about His Kingdom and then have 10 days to pray? It is hard for me to write this, but I am afraid these 10 days may be the 10 days in Revelation 2:10. Tera, John over at Watchman for that Great Day YTC sees that verse tied to the letters to the churches, specifically Smyrna, as I recall. Those suffering those 10 days, John asserts, are Jews, walking a different path than the Bride to meet their same Messiah, although through a different gate. Maranatha! I have not studied this extensively... this is just me and my Bible today, and I hope I'm wrong. But the letters in the beginning of Revelation are the churches. One argument for a pre-trib rapture is that the "church" is conspicuously absent after the beginning of Revelation even though they are present in the beginning before the rapture. To me, each church seems to represent a different segment of the body of Christ. Ephesus seems to be those who guard orthodoxy and doctrinal vigilance but have lost love and works. Thyatira seems to be the opposite... many works and love but lacking discernment and tolerating heresy. Sardis needs to wake up and see that Christ is coming soon. Laodicea has a hard time separating a works-based salvation from grace. Smyrna will suffer 10 days tribulation. I need more time to study Pergamum and Philadelphia. Reading the rest of Revelation 12, I am wondering if Satan comes down before we go up. My ESV Bible says, "but her child was caught up to God", The NIV and NASB say, "and her child was snatched up to God". There is a difference in "but" and "and". "And" could imply a gap of time. I would like to understand these in the Greek. But we have seen that there is a gap of time between Rev 12:1-2 and the rest of Rev 12. Also, what I think is important, is that we actually see that the dragon was cast to earth in Rev 12:4... BEFORE the birth. If we think the birth happened on Oct 13, could this casting down have already taken place? Is Satan already in place to devour us on earth as soon as we were born? Carefully read the rest of Revelation 12. Specifically verses 10-11. As Satan is cast down, God says, "Now the salvation and the power and the kingdom of our God and the authority of his Christ have come." NOW power has come to us... as Satan was cast down, we are given the authority of Christ. Verse 11 is about believers. And the words "they loved not their lives even unto death" echoes Revelation 2:10 to "be faithful unto death". Hard to know if this is us or Tribulation saints. But since Rev 2:10 plainly says that there will be tribulation for 10 days, how are we going to account for this? I find it interesting that it specifically says "the devil will throw you in prison". This tribulation for 10 days is specifically from satan. Look at Rev 12:17. Satan attacks the woman first, but the woman is protected in the wilderness, so then the dragon becomes furious and goes "to make war on the rest of her offspring, on those who keep the commandments of God and hold to the testimony of Jesus." I find it hard to believe that there would be tribulation saints that quickly, as soon as Satan is cast down. I really think we should at least consider the possibility that it could be us (since he was cast down in verse 4) and that this is talking about the "10 days" tribulation. I am envisioning Acts 12 when Peter is in prison and the angel of the Lord busts him out. Wondering whether some of us will be put into prison and then miraculously be set free with a rapture. In some ways, I hope I'm wrong. In other ways, we know that persecution spreads the Gospel. I wonder whether we will receive the power and authority of Christ to suffer and make Him known. Also... no time to go into detail now, but I find it amazing that Gomer in Hosea gives birth to a SON, "Not my people". Paul in Romans (10 I think) quotes Hosea, that "not my people" will become "my people". He also quotes Psalm 19 (amazing!) and Isaiah 65 (wow!) here as well. This section in Romans is Paul describing how God will make Israel jealous and return to Him and how the Gentiles are grafted in. Paul says "not my people" is the Gentile church. Therefore, we see that Gomer (Israel) gave birth to the church (male) in Hosea. Then Hosea 2:14 "I will allure her, and bring her into the wilderness, and speak tenderly to her." We see the woman in Rev 12 go into the wilderness. Beautiful stuff that I wish I had time now to flesh out more! I hadn't even read this when I posted my earlier response. I think there is "Spirit Whisperer" agreement here. Maranatha! BTW, November 22nd is the 50th anniversary - to the day- of the UN Declaration creating Israel as a nation. Assuming that we are still here to see it, we will be treated to a special morning star. At about 6am (Eastern) on the morning of Saturday, November 13, 2017, Venus will rise in conjunction with Jupiter. They are so close that they will appear as one star at the left foot of Virgo. (The moon is a waning gibbous and in right hind leg of Leo) with the sunrise on her heels. Dare I say, "The Star of Bethlehem" shines forth again? If so, and knowing that the star heralded the birth of our Lord Jesus Christ such that the Magi in the east were moved to follow the star in search of the King...we should take a serious look at these things. Might this be the heavenly delivery of the male child? Here we see what modern translations call the "bright morning star" as being Satan. Lucifer as the bright and morning star. Might this suggest a duality of meaning? A a picture of the dragon attempting to devour the male child? These are RED LETTERS so trustworthy and true. So, are we seeing a duality here? Satan as the bright morning star? Jesus, the bright morning star? Yes, but only Jesus is the true bright morning star. These contrasting dualities are common in scripture. Thus may we see this as a duality of covenants such as seen in (Daniel 9:26-27), being covenants of life and death? A covenant with the Messiah and a covenant with death? Perhaps this sign speaks to both? But in light of researchers such as Rick Larson, recognising the conjunction of Jupiter and Venus as the Star of Bethlehem is an obvious conclusion leading us to understand "birth"; and in this case it may be the birth of the Church. A further study of conjunctions may be in order to see the uniqueness of this event in these shortened days. Wow!! Check out the new section I added to this article where I discuss 11/13 in more detail... some interesting day counts there. 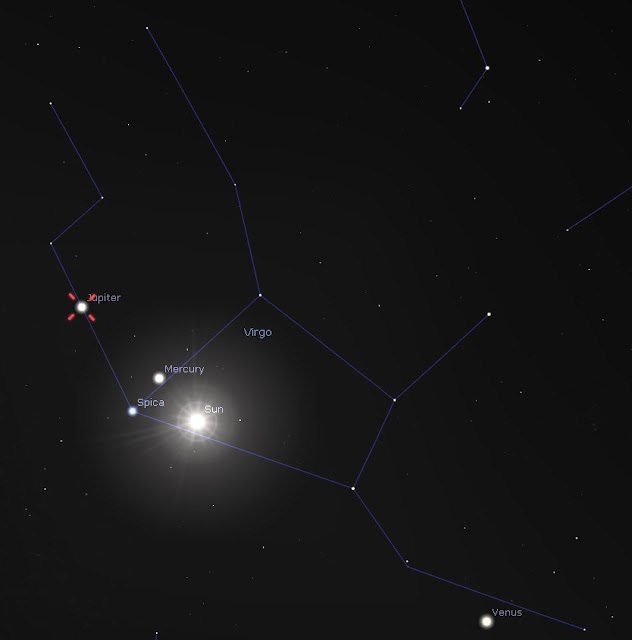 Looking at the mid-November conjunction of Virgo/Jupiter, using SE-US viewing, we see the two planets clearly separated as they rise on 11/11/17 at 0616 (Eastern). Jupiter and Venus appear to "touch" to the naked eye on 11/12/17 at 0616 (Eastern). They are even CLOSER on 11/13/17 and may appear as one. They start to separate again on 11/14/17 and continue to separate afterwards but some interesting interactions of the moon and Mars start to come into play. All of this happens before the new moon. The moon is actually in a waning crescent above Virgo as this begins and moves into a close conjunction with Mars inside of Virgo. You will note that I am speculating that the gamma ray and gravitational wave detections coming from the elliptical galaxy NGC 4993 in the tail Constellation Hydra are candidate as another sign as given in (Revelation 12:3a). Deeper research into the historical mythology of Hydra, the dimmest constellation yet largest of the 88-modern constellations, would be in order. I believe some cultures depict it as multi-headed. 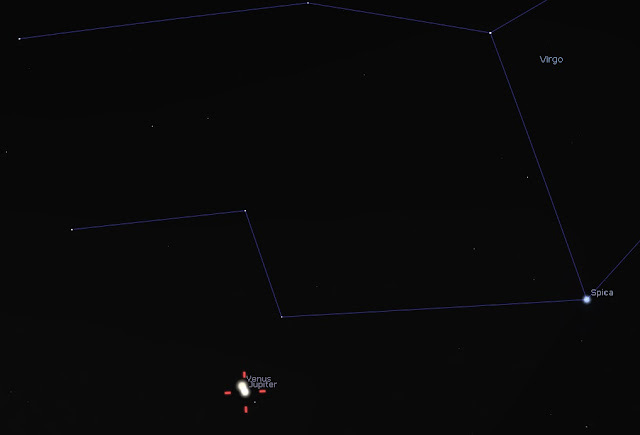 The proximity of the event in NGC 4993 and Jupiter, Spica, Virgo, Leo is hard not to take notice! The event in NGC 4993 taking place in the "tail" of the serpent is notable as well! Four (4) days after detection was the eclipse of 8/21/17. What kind of snake announces its power via the tail? Rattlesnakes. Where do you find Rattlesnakes? The Americas. Where was the eclipse four days later? The Americas. Where will both major eclipses of 2017-2024 intersect? Little Egypt in Southern Illinois in the Americas. Offering these as points of discussion, no prediction or statements of fact. Just data points from observations that we have all seen. Keep in mind that the next "sign" we are looking for was set in time by G-D so we should be looking for a sign commensurate with His character and testimony. I just caught your response and read your new material. My observations are independent of yours so you can compare/contrast them. I will start adding these new observations into my models to see what I get and share as needed. Very interesting, Richard! Thank you! I am keeping my ears open for news of an agreement (covenant) between Israel and the Palestinians, especially in light of the agreement/reconciliation very recently between Hamas and Fatah. WHY would those two reconcile NOW after 10 years if it didn't mean something else very important would follow ? And there will probably be a lavish Trump style signing ceremony which will definitely lets us know and greatly narrow the date for the Rapture. So true Archangel, all eyes should be looking at/to Israel (the Barley, the Fig Tree, the Woman in Labor). Despite all the world's political jousting/ CIA ops/ Deep State ops/ Iran ops/ Russia ops/ Israel ops going on in and over there... God's word will stand and be proven true when this comes to pass. Any layman should be able to see/read/understand Damascus is just ready to blow with all the actors there (too many to list here). Isaiah 17:1 Warning: In Damascus, Iran's Army Chief Warns Against Israeli Incursions Into Syria! Charlie in DC. Where has Iran's Army Chief been ? Israel regularly sends its Air Force into Syria to blow up Iranian weapons sent to Syria for Hezbollah. I have lost count how many times. It seems like every week. At any given time, there are one million terrorists in Damascus. God has gathered them together in order to obliterate them. I always keep my eyes on Israel and how things are going over there. Greg Laurie wrote an excellent article about the death/hell agreement (Isaiah 28) Israel will make with the AC. What will make it particularly bad is it won't be forced on them like some UN. Resolution. Israel will actually negotiate the agreement to give up God's land and the AC will confirm this covenant. Then the Tribulation starts. Honestly, I am just waiting for an article from Aaron Klein out of Jerusalem that an agreement has been reached. Or I may read it here at Unsealed first, but that's what I am waiting on. Syria has literally tons of chemical weapons (thanks Obama). If the IAF blows that up , I can well see Damascus here in the evening and gone in the morning. And I think God is letting everybody currently "taking the knee" in disrespect to Him and country get their practice in for when "every knee shall bow and every tongue shall confess that Jesus Christ is LORD to the glory of GOD the Father." Even though I have only been aware of this site for about a month now, I have been consuming the content herein like a teenage boy consumes his dinner after football practice! Many thanks and heartfelt appreciation to all who contribute here. Our Lord is indeed taking his Church out of here - and I believe he is "at the door"! Awesome, Robert. Love the analogy. Stay hungry! Some of you asked, so I added some more details to the article - check it out (under the final section: "Signs in the Heavens"). I myself feel this world desperately needs all of us Christians to spearhead a revival worldwide. I want and desire more time on this planet to reach more souls. As glorious as heaven will be, I find myself wanting more of the finite time left on this side of the millennium and the eternity past that. This is my only time to reach out to others, and I would rather do that for awhile longer rather than be rewarded with heaven now. I feel so blessed this side of heaven, and I do not mean in a worldly way, but am having the best time of my life studying God's word, praying for and receiving enlightenment and discernment. I am with BryanB...we all have much more time on this planet, and we are all NEEDED badly to spread the gospel of Jesus Christ. Tough times ahead, and I feel I am being prepared to work with fellow Christians for many many months ahead. I agree wholeheartedly! I have been feeling like, "someone needs to preach a revival". Then I realized that the "someone" is probably me! ...and from what I know of it so far, it looks very interesting for organising block-by-block neighbourhood prayer and small groups. (Even mini-churches or home churches) It is especially geared to reaching the lost without and saving souls without preaching. I would encourage you to check it out. This looks great! Thank you for sharing! When the Lord gave us our house 6 years ago, I felt certain He placed us here for the sake of our neighbors. Two have come to faith, but we haven't been able to make progress otherwise. This seems like a good strategy. 7/3. Never really noticed it before except that the Farmers Almanac say that the is the start of the dog days. Has any ever looked up their names and what they means? My middle name is Joseph which means increases with GOD...so Mark increases with GOD. I am amazed sometimes the way He shows things. But I digress. May King Jesus come soon! Must be tired...messed that post up. I meant has any looked up their names in Hebrew? Much Peace & Love to my brothers & sisters here! In keeping with the thread title "Open Your Eyes" it occurs to me to make mention, lest we forget, of a CME not long ago which scorched Mars, as I recall, and which Little Shaul made a good unpacking of in one of his videos at the time (Zeus Mossbender Channel) in the context of Michael and the War in the Heavenlies, ala 'we go up they come down', TY LA). Add to that the "never before witnessed" Big Event of the collision in space announced recently being in one of the HYDRA Constellations. Hmmmm... Maranatha! Good read article below, on barley harvest and its relation to us, the overcomers in Christ. In God's eyes, value of barley is 50 shekels of silver (silver represent redemption in bible), 50 is the number of Pentecost and Jubilee. Thus, while Pentecost is a down payment of a Jubilee, or the promise of a Jubilee, both are depicted by the number 50. The barley is valued at 50 shekels of silver, and this associates the barley with the outpouring of the Spirit, both in its earnest and its fullness. Story of Gideon in the bible talks about barley and its relation to first resurrection of the dead at the Feast of Trumpets. Regarding Vayera, as copied from Ryan Protech above: "The Lord Appeared to Abraham. The Lord was accompanied by two men , is it the Holy Spirit and Jesus Christ?. They had a meal. (Made me go back to Revelation 3:20 ) . The Lord promised birth to Sarah. The Lord warned Abraham of the destruction of Sodom and Gomorrah. There was a bargaining. But eventually destruction happened." Thinking back to the Alpha and Omega post, about how Genesis gives insight into Revelation, could this Vayera timeline do the same? God promised us a birth like He promised Sarah. God warned us that Sodom and Gomorrah will be destroyed. What is the bargaining though? I don't think it is us jumping from date to date. I think we need to bargain with God for men's souls. I want to write this off because Abraham's bargaining didn't change anything... I want to think that I don't have to bargain because God has made up His mind. But I don't think that's what He is telling me to do. I am glad you find the resources for The Gospel Within interesting. Steven Dudley is the name of the pastor who leads that effort. He is very passionate on it and would be pleased to help you. Now refer to Revelation and tell me who you think the LORD is? The Orionid meteor shower peaks October 20-22, but observant skywatchers may already see a few meteors streaking across the sky from the annual show. The meteors — some of the fastest and brightest produced by any showers this year — will continue to fly through Nov. 7 as Earth hits a stream of debris left behind by Halley’s Comet head-on. The Orionids, so-named because they originate from near the constellation Orion (The Hunter), are expected to produce between 10 to 30 meteors an hour this year, though in some years as many as 80 meteors an hour can blaze across the sky. As with most meteor showers, the best time to view them is after midnight through the pre-dawn hours. There might still be more to come... Sounds somehow belligerent. MARANATHA! Annabel, see commentary above from Archangel, sure enough things are happening over in Israel as we type! "Yahya Sinwar says 'no one in the universe can disarm us,' likens belief that terror group will relinquish weapons to 'Satan dreaming of heaven'"
"The remarks came during a closed roundtable discussion between Yahya Sinwar and Gazan youth about the ongoing reconciliation negotiations with rival Palestinian faction Fatah, to which some media outlets were invited to attend." Ezekiel 38 indicates that when Gog decides to invade Israel, they are living "safely" and "without walls" and "without bars and gates" and the only scenario I can see that happening in is either Israel had annihilated Hamas/Fatah in the Psalm 83 war or a comprehensive peace treaty has been signed. So, whether Hamas is disarmed by death or treaty, something will happen to have Israel living safely and without walls. Readers: Steve I wonder over the timeline myself alot of nights now. And the LORD is wonderful, what im about to say may be taken serious, but the LORD timeline is not the thoughts of men. Well it hit me so please read very careful what im about to share with you. •It appears that the body of Christ is going here on this date which Paul speaks of the rapture, and he was an apostle for our LORD. Adding some observations from my model using the gravitational-wave event GW170817 in NGC 4993 as potential as "another sign" that appears in (Revelation 12:3). Keep in mind that the collision of two Neutron stars generating massive gravitational waves and electro-magnetic radiation occurred in an elliptical galaxy located in the tail of the constellation Hydra. A constellation which is the largest of the 88-modern constellations but among the dimmest. It is immediately adjacent to Virgo and could be understood as "standing before" Virgo. NOTE: No Feasts or High Holy Days are used in this review. Dates are subject to verification. Data points and observations for your consideration and comment. If observing the Jupiter/Venus conjunction from the Temple Mount, expect them to rise 0410 on the morning of Sunday, November 12, 2017 (23 Cheshvan, 5778). The re-appearance of the Star of Bethlehem should be visible for roughly two-hours (weather permitting) until about 0610 (local Jerusalem time). Winding the clock back but still looking from Jerusalem on the morning of 11/11/17, both planets are slightly separated. Moving forward to 11/13/17, Venus appears to almost "devour" Jupiter in a conjunction so close I am not sure you will be able to tell them apart. But on 11/12/17 both planets should first appear to touch and form a single bright morning star! The conjunction continues the morning of 11/14/17 and the planets visibly separate by the morning of 11/15/17, therefore this event may appear to take place over three (3) days. I will post screen shots of my initial observations shortly. Too many things happening in this event to describe. After Jesus fulfilled the first three feasts and rose from the dead, He walked with His disciples for 40 days before He ascended. 10 days later they received the baptism of the Holy Ghost. What if the three fall feasts have been fulfilled in the Rev 12 sign? Could it be that He has an 8th feast 50 days out from the fall feasts as well? The wedding feast of the lamb? For sure we have given the great sign/wonder of Rev 12:1-2 as a marker or sign post of "things" to come. Reading through these comments and going through accompanying YTVs are encouraging to know/read/understand Watchers are coming to some of the same conclusions and/or having some of the same thoughts. (i.e., the 40 or 50 days from 9/23 for cleansing etc...). So yes, God is telling us through His living word! It's there for ingestion and for the Holy Spirit to guide us, if we are seeking to know while we eagerly watch! BTW, I like the wedding "feast," especially for all those who were expecting a feast fulfillment. If Revelation 7:9 is the Rapture - and there are many reasons for believing it is - then certain other events must happen first, including the deaths of 1/4 of mankind. This agrees with Matthew 24/Mark 13/Luke 21. Highly recommend watching this video. This is something I've posted about before. We may not be in year 2017 but much later based on biblical years. What consideration would you give to the passage in Leviticus 12:2-4 that requires a woman to "continue in her blood of purification for thirty-three days," NKJV after 7 days of uncleanness and the eighth day for circumcision before she can enter the "sanctuary." This would have the woman in labor on September 23, 2017 and forty or forty one days later, depending on whether the circumcision day occurs concurrently with the 33 days of purification. This would give a date of November 2 or 3, 2017. Any thoughts. RE: What Starts the 70th Week? 14> The AC arises to preside over the 10 nation Beast System; BTW, there is a new and promising candidate (Austrian Chancellor, Sebastian Kurz), and given the timespan between the rapture and the end of the first half of the Tribulation (3.5yrs), this provides him time to perfect his “craft” and be shown to the world. "If the Church is still here past November 18th then I'll have to start looking more diligently at 2018-2025"
So what is the significance of November 18th? Is this some hidden Feast day, barley harvest delayed date?